If classic, simple elegance is your style, then you can't go wrong with the Caitlyn design. 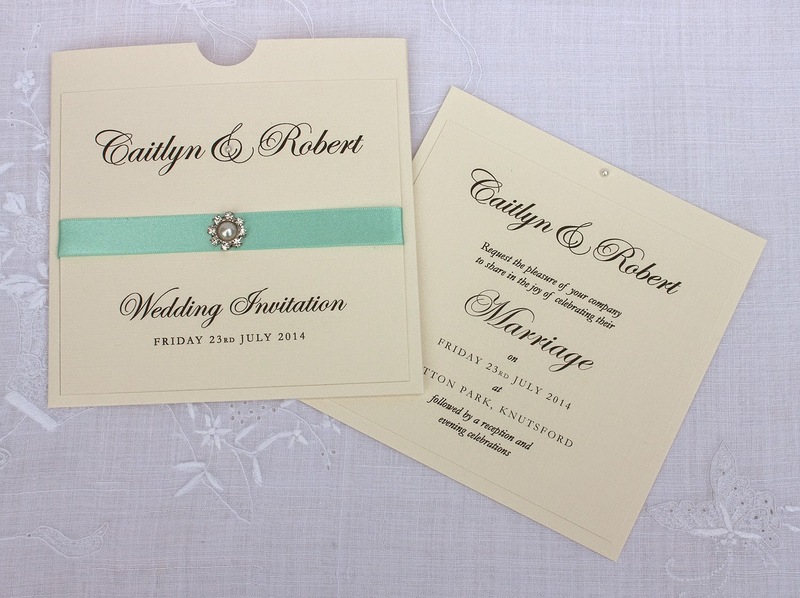 This is a pocket style invitation, using plain and linen effect ivory card. 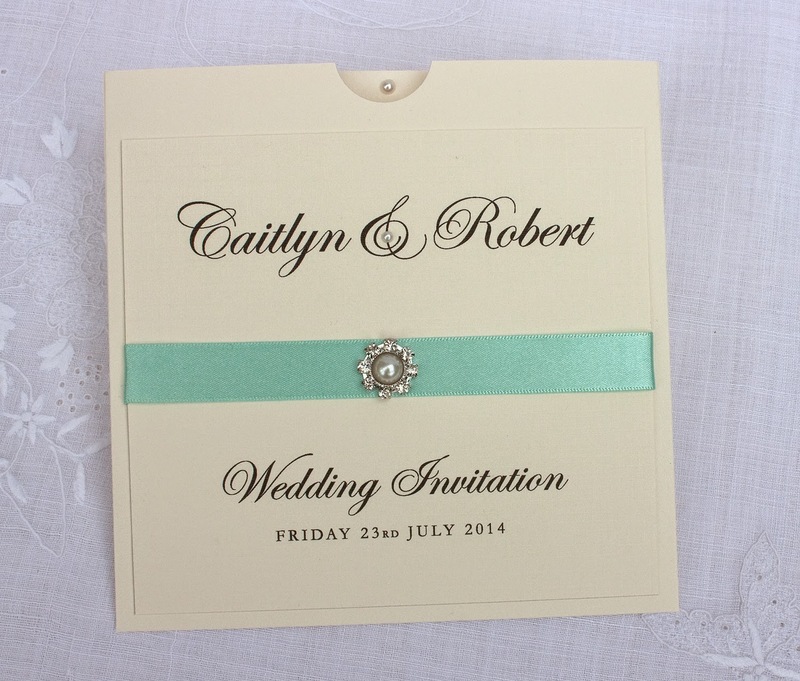 The ribbon and embellishment can be changed to suit any colour scheme or style. 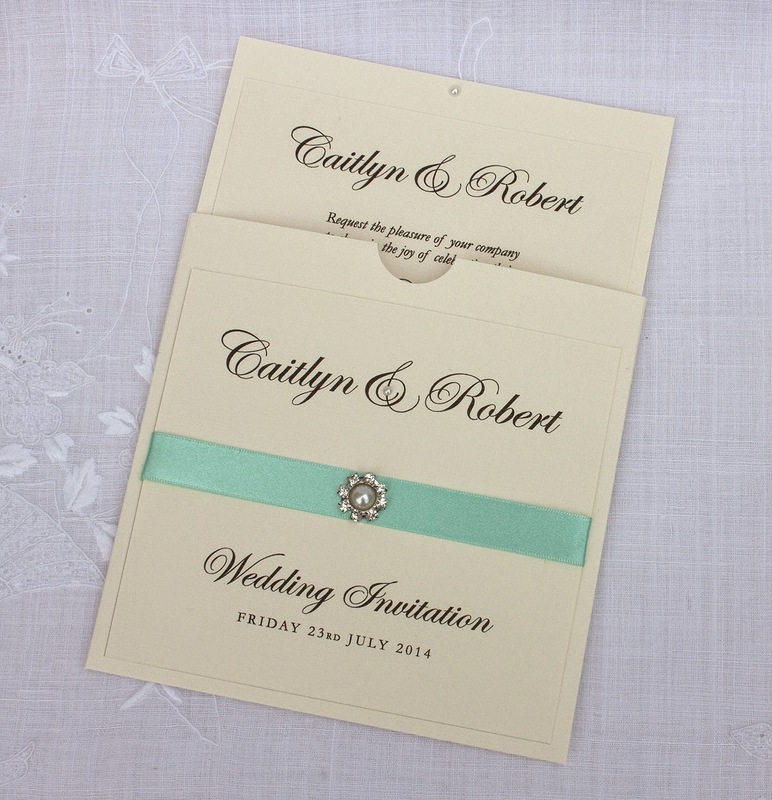 The script text adds to the elegance of the occasion, and the small pearl decoration on the insert helps to pull the insert from it's pocket. I'm sure your guests would be very impressed to receive an invitation like this.